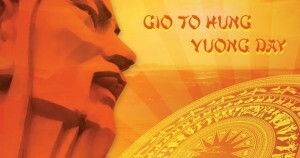 On the 19th of April 2013 the whole of Vietnam celebrates its most patriotic day, ‘Gio to Hung Vuong day’. This day is a somber ritual of commemorating the death anniversary of the Hung Kings. Vietnam as a nation was founded by Emperor Hung Vuong almost 50 centuries ago. A Hung Vuong National Altar was built in 250 BC in Phu Tho (North Vietnam) to honor the founding fathers and all the kings of this dynasty. It has since been one of the most popular sites in the country where tourist came from all over to pay respect to their ancestors. This ritual was banned during the colonial times, when other cultures dominated the country and suppressed the local lifestyle. The Hung kings are known for how they developed diplomatic relations with China in order to ensure the independence of the nation from Chinese colonization and cultural influence. Hence the Hung kings’ outstanding achievements in setting up an individual; administrative, social and economic rule not only established Vietnam as a nation on its own but also developed its unique culture and helped in the establishment of well- defined institutions. 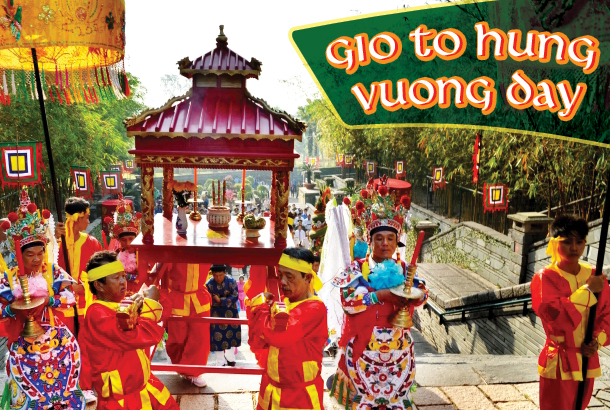 The Festival spans from the 9th to the 13th of March on the lunar calendar, with March 10 being the main, ‘Gio To Hung Vuong Day’. Hence every year on this patriotic occasion, Vietnamese people from all over the world observe this day, some travel back to their motherland on this occasion and reunite with their families and countrymen. The Hung temple is the place of worship for Hung Vuong, Hence the celebration take place there. People celebrate this day conducting special colorful parade, procession of traditional cakes (Banh Chung – a rice pie…), “Xoan” folk song contest, bronze drum beating, etc. JTTJ team also joins our Vietnamese friends in this commemoration ceremony and pays respect to the brave kings of yore.